In Parts 1 and 2 of this series (available at: http://www.ft.lk/columns/Vision-2025--Part-1--Need-for-moving-from-a-wish-list-to-a-concrete-plan/4-639757 and http://www.ft.lk/w-a-wijewardena-columns/It-is-an-uphill-task-for-the-Govt--to-attain-the-envisaged-targets/885-640237), it was noted that the Vision 2025 released by the Government recently was in fact the fourth of such visions it has placed before the public within the last two year period. It was shown that all these visions had one underlying economic philosophy to go by, namely, the establishment of a ‘knowledge based highly competitive social market economy’, a concept borrowed from post-war Germany. This concept had been presented as the third way, different from both extreme capitalism and extreme socialism. It was also pointed out that all the vision statements were just wish lists devoid of concrete plans to realise those wishes on the ground. Since the present Government is made up of several coalition partners, the necessity for consensus building among the coalition partners to implement the plans successfully was also highlighted. A salient feature of the current vision statement was that it has corresponded to the country’s election cycle and not to any perceivable economic cycle. It was also pointed out that the goals which the Government has thrust upon itself have been highly ambitious. As such, it is a challenging job to realise those goals. It would specifically be challenging for the Government to accelerate the economic growth rate to a minimum of 9% during 2018-20 and to 16% in the period thereafter till 2025 given the country’s low economic performance in the past few years. Similarly, it would also be challenging for the Government to meet its target of creating one million jobs by 2020 since the economy had already lost about half a million jobs during 2015-16. The other two challenging targets are to increase foreign direct investments to $ 5 billion and exports to $ 20 billion by 2020. In this part, we will look at the plans to ease the country’s growing debt problem. In fact, rising public debt, specifically rising external public debt, has been a perennial economic problem for all successive governments in Sri Lanka. However, at the time Sri Lanka gained independence, public debt was not an issue since the colonial administration had been extra careful when it came to public borrowing. For instance, when the railway authorities had asked for permission to raise one million sterling pounds by issuing debentures in the London capital market to finance the Colombo-Kandy Railway in 1864, the approval was given strictly on the condition that the railway has to earn a surplus to repay the loan and to facilitate repayment without compromising its cash flow, it should build a sinking fund out of annual earnings. By adopting this strategy, the railway authorities during the colonial period managed to repay what they had borrowed abroad without imposing a burden on the country’s taxpayers. Thus, in 1948 when Sri Lanka gained independence, total public debt amounted to only 18% of the total output of the country called Gross Domestic Product or GDP. Of this, domestic debt amounted to 14%, while foreign debt was a meagre 4%. Even then, the debt repayment was not a problem since the colonial administration had followed the sound practice of building sinking funds out of the current revenue to facilitate such repayments. After independence, the successive Sri Lankan governments were all on a spendthrift mode which in turn caused them to run substantial budget deficits. The corollary was the accumulation of debt forcing governments to spend more and more hard-earned revenue for servicing the debt involving paying interest and repaying the principal. To make the matters worse, in the mid-1980s, the Sri Lankan government abandoned the practice of building sinking funds out of current revenue, a budgetary tactic beneficial to the government of the day but inimical to the economic stability in the long run. With no backing of sinking funds, debt repayment today has become an obligation of the current taxpayers, a practice known as ‘pay as you go’. Since a larger proportion of the revenue – in some years, the entirety of the revenue – has to be set aside for debt servicing, the successive governments had no alternative but to service the maturing debt by reissuing the same. This caused further accumulation of debt as they had to raise more debt to pay interest as well thereby snaring all successive governments in a debt trap. In 2016, the total public debt amounted to 79% of GDP, up from 71% at end 2014. The debt servicing commitments in 2016 had absorbed about 76% of the total government revenue in that year. This was an improvement compared to the position in 2014 when such commitments had absorbed almost the entirety of the revenue in that year. However, this improvement came entirely out of the increase in the revenue base of the government in that year and not due to a decline in the debt service commitments. All governments have been blaming the previous administrations for driving the country to unmanageable indebtedness. Interestingly, this has been the pet topic for discussion by ruling politicians immediately after they come to power. However, over the years, they themselves have resorted to borrowing in large volumes in order to deliver the promised public services. As a result, the overall level of public debt has risen though the total debt as a share of GDP may have shown some improvement. For instance, the previous Mahinda Rajapaksa administration increased the level of public debt from Rs. 2.1 trillion in 2004 to Rs. 7.4 trillion in 2014. But the new Government has also increased by about Rs. 2 trillion during 2015-6 raising it to Rs. 9.4 trillion at end 2016. While every government has recognised the ever-rising debt levels as a critical issue, no government has taken any long-term measure to ease the country’s heavy indebtedness. In this background, Vision 2025 has recognised the growing public debt, a corollary of poor performance in revenue generation, to be an impediment to economic growth. The debt has been concentrated, says the Vision, on ‘high cost and high risk non concessionary foreign borrowing’. These high levels of public debt have hampered economic growth, among others, by creating uncertainty among investors. It also has recognised that high public sector borrowings have displaced private entrepreneurs, a process known to economists as ‘crowding out’, further hampering economic growth. Hence, what is to be done is to cut down the Government borrowings and leave more resources for use by the private entrepreneurs, so that they could be ‘crowded in’ to the economic system. Obviously, this should be the appropriate economic strategy to be followed since economic prosperity is to be delivered, according to Vision 2025, principally by private sector players. Vision 2025 proposes a three-pronged strategy to tackle the country’s debt problem. First, it plans to increase the revenue base of the Government, up from the current 14% of GDP to 16% by 2020 so that the borrowing requirements of the Government would be less curtailing the annual debt accumulation as well. But, this does not mean that the debt levels will go down. Since the Government is still having budget deficits, the debt levels will increase though the debt to GDP or debt servicing to Government revenue will show improvements. Second, there are plans to rationalise the Government expenditure by eliminating unproductive ones and putting a stop to the resource drain caused by loss-making state enterprises through a viable restructuring plan. The objective here is to check on the growth of public expenditure so that it would help the Government to keep the budget deficits under control. The Government expenditure is further to be rationalised by having a pre-determined public investment programme to avoid the incurrence of capital expenditure for unproductive and non-priority projects. Third, there is a suggestion that the Government will go for a strategy known in banking as ‘liability management’. This is of course a part of the story since it should properly be both ‘asset and liability management’. In banking, both asset management and liability management are used to improve the liquidity and hence the current cash flow. In asset management, existing illiquid assets are converted to liquid assets; in liability management, hitherto unutilised borrowing power is used to generate additional liquidity and postpone the obligations to pay debts immediately. For instance, debt maturity could be elongated by converting those debt obligations which are to mature shortly into long term debt. Similarly, the interest cost on debt could be eased by borrowing from cheaper sources and using the proceeds to pay out the maturing debt. Thus, the liability management being proposed in Vision 2025 will not reduce the current debt levels. It would ease the debt repayment obligations by improving the Government’s current cash flow. 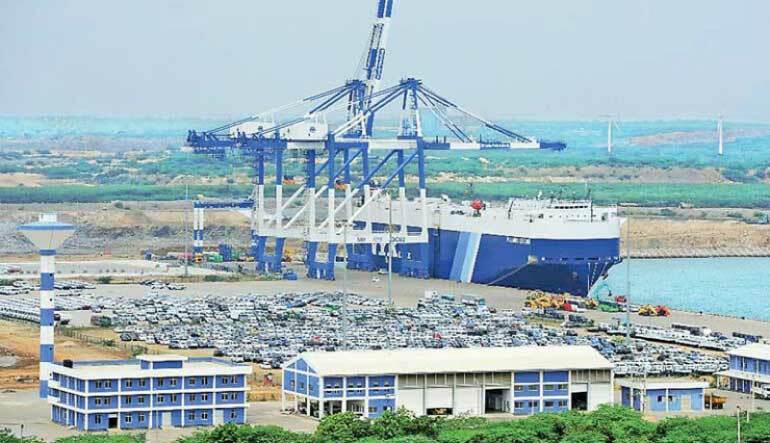 Though not mentioned in Vision 2025, the Government has already resorted to asset management by going into a partnership with China Merchant Port Holdings in the case of the underperforming Hambantota Harbour Facility. It generated an immediate cash flow to the Treasury on the one hand and removed the burden to fund its operations from its shoulders, on the other. There are many such capital assets which are presently either non-performing or underperforming thereby becoming a drain on the budget. The list is long, but some potential candidates are the Mattala Airport, Ranminitenna TV Village and Diyagama International Sports Stadium, to mention but a few. By going into public private partnership as in the same model it used for Hambantota Harbour, the Government could avoid an immediate drain on its resources and further accumulation of debt by the country. All the above three strategies are just eye-washes and not a solution to the country’s growing debt problem over the long haul. The real long term solution lies in the Government cutting down its consumption drastically so that it would generate a sizeable surplus in the revenue account which is made up of its revenue from all sources and its recurrent expenditure, also known as Government’s consumption expenditure. Since the maximum revenue which the Government can generate is only 16% of GDP by 2020, its consumption expenditure should be pushed below this level immediately. The target should not be to attain the traditional 2% surplus which none of the previous governments had been able to realise. It should in the first instance be at around 6% of GDP which is the target level of capital expenditure of the Government generating a balanced budget. Then, to cut the debt levels, the Government should go for a surplus in the budget. This appears to be difficult, but not impossible if there is a real wish to bring forth a permanent solution to the country’s debt problem. In the UK, the David Cameron administration of 2010, despite being a coalition government, implemented a successful programme of cutting down the public sector net borrowing from around 8% of GDP in 2010 to around 1% by end 2016. In July 2017, the budget has been converted to a surplus. Similarly, Thailand was able to generate a surplus in the budget during 2003 to 2006. Unless Sri Lanka starts a similar programme, its long term growth is hampered and the country would remain where it is today. This is painful but unavoidable. The example should be set by the top political leadership by taking a voluntary cut in the welfare level and thereby setting an example for others. Sri Lanka is presently moving toward an unmanageable debt crisis. It became chronic since the successive governments made no attempt at introducing long-term solutions which are painful. Now it has become acute and could disable the economic life at any moment. It is therefore time for going for permanent solutions which would be for the benefit of the country’s long-term sustained economic growth.